Fun Kids or Children’s Birthday Party Ideas | Bubblemania & Co. Looking for a spectacular Children’s Birthday Party program? 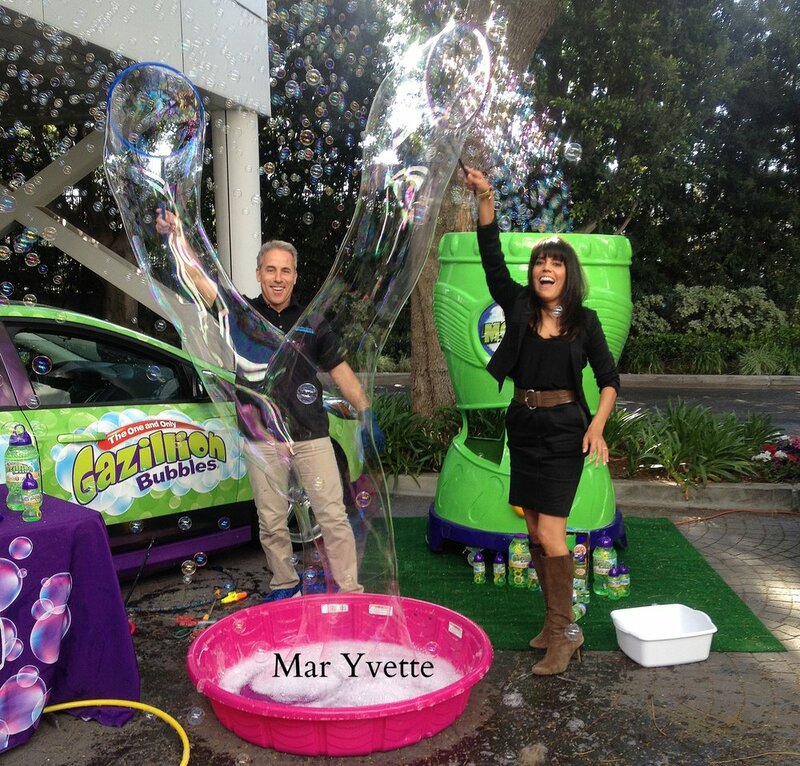 Contact the professionals of Bubblemania for intriguing yet fun kids’ party ideas & more! Call now! In our regular "Party Program" the Bubblologist will perform a 30 to 40 minute, INDOOR (it has to be done indoors or with at least 3 walls) interactive show on the science of bubbles with rainbow bubbles, square bubbles, triangle bubbles, bubbles that bounce on bubbles, bubbles within bubbles, giant bubbles and the grand finale where every child gets a chance to be inside of a Giant Bubble! The inside area is set up with a waterproof tarp of about 5 feet wide by 8 feet long placed under our equipment. The Children are seated in a group on the floor, in front of the tarp, when the show begins. 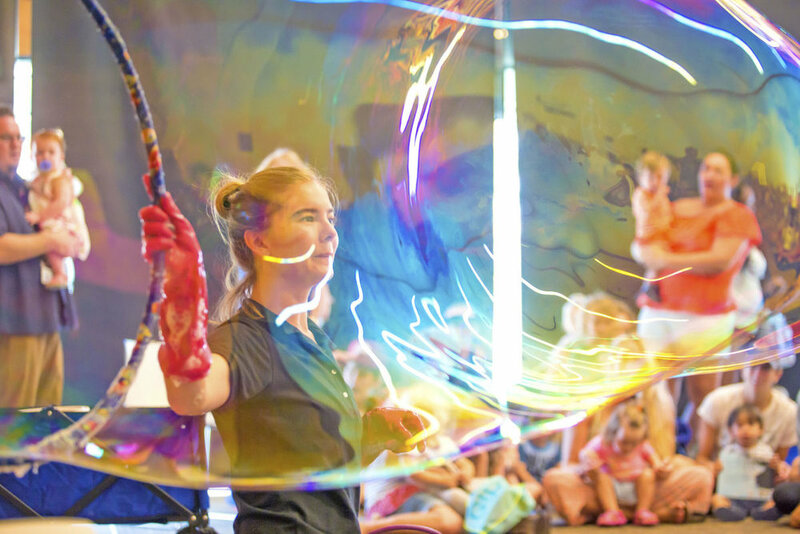 The Bubblologist will arrive 15-20 minutes before the scheduled performance. He/She will set up outdoor hands-on equipment before the show begins. *Mileage charge may apply if you are outside of our normal operating areas.